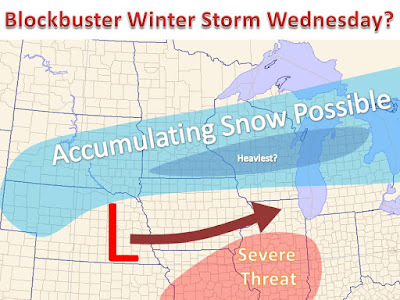 Midwest Winter Weather Blog: Winter to Silence the Doubters, it's not over quite yet. Winter to Silence the Doubters, it's not over quite yet. 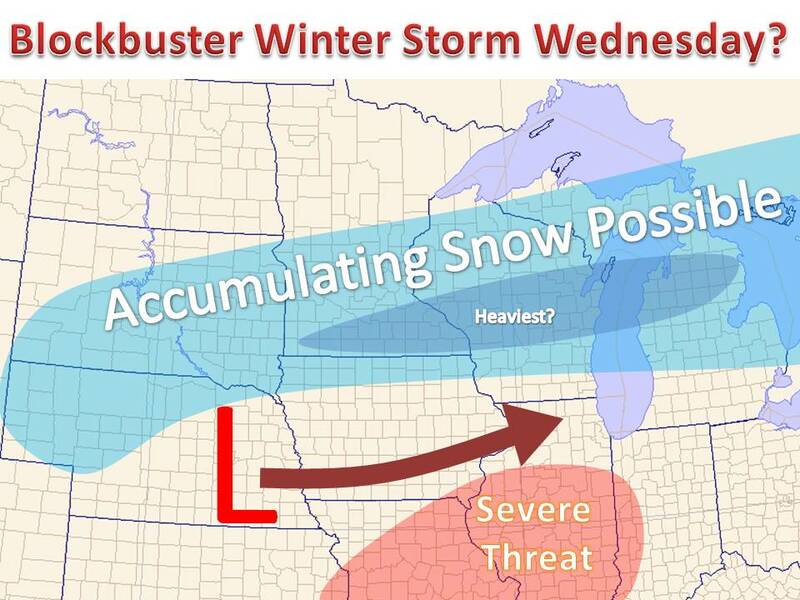 A fierce winter storm looks to bring a variety of weather to midwest on Wednesday. Usually these systems in late March are tough to pin down the potential and location of heavy snow, but with ample cold air settling in, it looks to be a classic looking mid-winter snow event. Weather computer models have been coming together through the last couple days of a track through Nebraska to near Chicago and points east. This would lay down a swath of moderate to heavy snow on the northwest side of the track, with thunderstorms further south and west. In all honesty, this system has been very consistent in the latest model runs and atmospheric data, compared to other systems. However, being that it is still 4-5 days out, amounts and exact locations are certainly in question, but the idea of heavy snow is of high confidence, somewhere across the Midwest. Most likely area in question within the blue shading. While this may change, a broad area of 6-10" of snow if possible, depending on whether or not your area sees the bulk of the snow during the day or during the night. Either way, much of it should melt quickly with a higher sun angle this time of year. There are a couple more systems that may threaten the Midwest further down the pipeline as well. Be sure to check back for updates, as the event nears.